A glowing rich, deep purple wine with a lovely exuberant nose, this has a superb suave texture with plenty of fully ripe tannins behind the sumptuous weight of dark red and bramble fruit. Long and deep with a fine finish. The new premises in Chorey-lès-Beaune remain something of a building site externally. 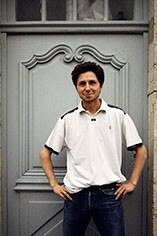 However, inside everything is in place for making fine wine, while upstairs an apartment has almost been completed for Sylvain, his wife and new baby. The whites have been a great success here since Sylvain’s first vintage (2007), while 2012 marks huge progress on the red wine front. A refined approach to the vinification process has produced much more perfumed fruit and has avoided the reductive aromas which sometimes used to appear. The Wine Advocate - Tasted blind at the annual Burgfest tasting in Beaune. 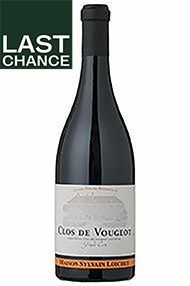 The 2012 Clos de Vougeot Grand Cru from Domaine Sylvain Loichet has a reduced, rather tertiary nose that masks a bit of under-ripeness. The palate is medium-bodied with a healthy dash of black pepper on the entry, a light build in the mouth with a modicum of structure on the finish, yet it does not appear to have the persistence of a grand cru Burgundy.